The CPCB has recommended to the authorities that the entry of heavy vehicles in Delhi must be banned for two days after Diwali when the air quality is expected to deteriorate further to severe level. 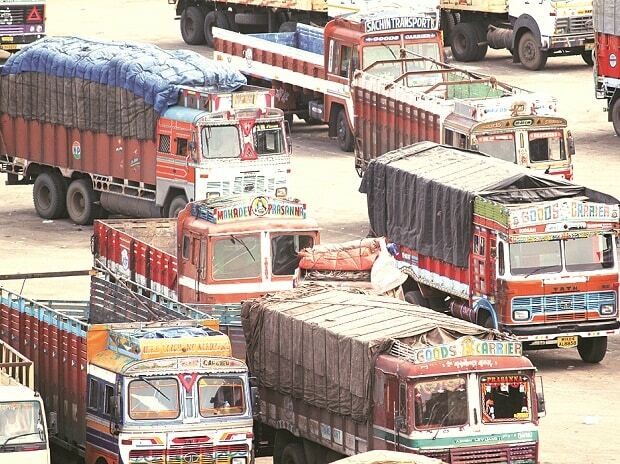 The Central Pollution Control Board (CPCB) Tuesday held a meeting with the transport authorities and advised them to ban the entry of heavy vehicles from November 8 to 10, Prashant Gargava, Member Secretary of the statutory organisation under the environment ministry said. The recommendation was made in view of the heavy pollution caused by such vehicles which might add to the woes of the national capital which is already battling alarming levels of pollution, another CPCB official said. "Even if 50 per cent of the total load of toxic fire crackers as compared to Diwali-2017 is added, the prevailing weather conditions will aggravate the high smoke level and make air quality to persist in severe range for at least two days on November 8 and November 9," SAFAR said in a report.